Andrew Simpson's original opera, based on the early American early story by Bret Harte, is a beautiful story of love, loss, and being true to one's morals. I was supremely fortunate to premiere the role of Piney at the 2012 Capital Fringe Festival. "...fabulous cast of singers... 70 minutes of glorious singing." "Composer and librettist Andrew E. Simpson's music alone is worth the price of admission." 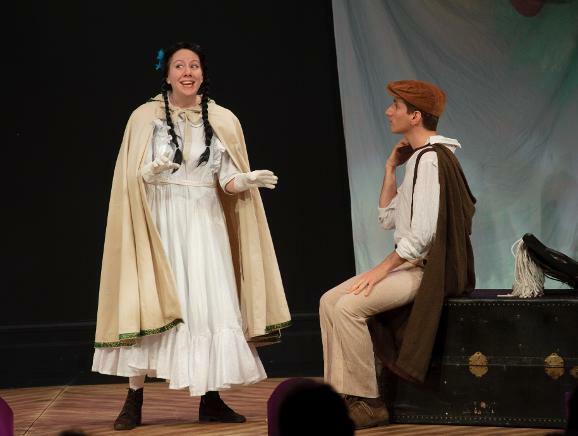 "Tenor Noah Mlotek and spine-tingling soprano Deborah Sternberg forge a winning chemistry as prospector Tom Simson and fiancee Piney Woods, which shines in their duet "Tiny Mountain Chickadee."" "Among the performers, Deborah Sternberg had the most pleasing voice."